Because I cook a lot I am always looking for interesting blends for different dishes but I just can’t always find what I need at the grocery store. Most of the time I already have what I need in the cupboard but I just have to put it together. I probably don’t cook Greek inspired foods as often as I should with its wonderful Mediterranean use of nuts and honey but at the very least with this blend I am now ready to take it on. 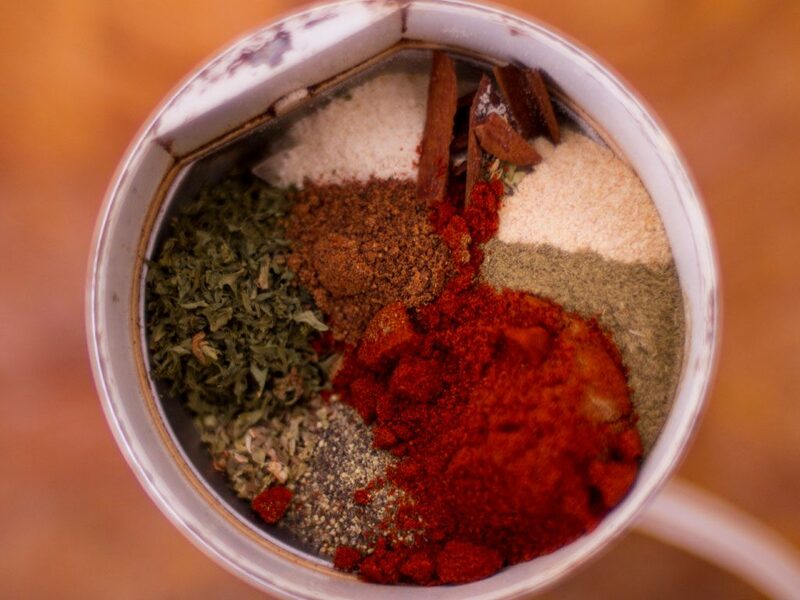 This spice blend is full of all my favourite flavours like oregano, garlic and cinnamon. All I needed was my handy dandy coffee/spice grinder to make the magic happen. Combine all spices together and grind to a fine powder. Store in an air tight container till needed.